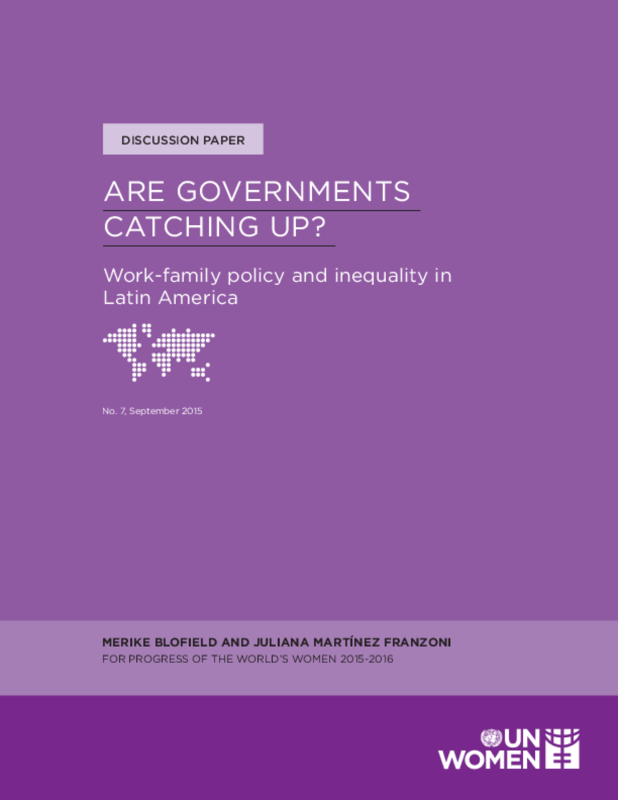 This paper examines government policies that aim to balance work and family life, focusing on employment based leaves and early childhood education and care (ECEC) services in Latin America. The paper charts the policy reforms across the region in both maternity, paternity and parental leaves and ECEC services, focusing especially on services for 0-3-year-old children. To illuminate regional trends and best practices, it provides more detailed case studies of policy reforms in Brazil, Chile, Costa Rica and Uruguay, with regard to both policy design and implementation. Drawing from these case studies, the paper finds that Latin America is moving in an equity-enhancing direction, particularly in terms of social equity, both in employment-based leaves and in care services. Care policies have a window of opportunity to become equity-enhancing policies both in terms of socio-economics and gender. Because these policies are being defined and implemented against the backdrop of deep familialism and high degrees of social inequality, equity enhancement is a challenging policy goal. The paper concludes with identifying the key factors in that are important in designing equity-enhancing change in work-family policies. This paper was produced for UN Women's flagship report Progress of the World's Women 2015-2016 to be released as part of the UN Women discussion paper series.